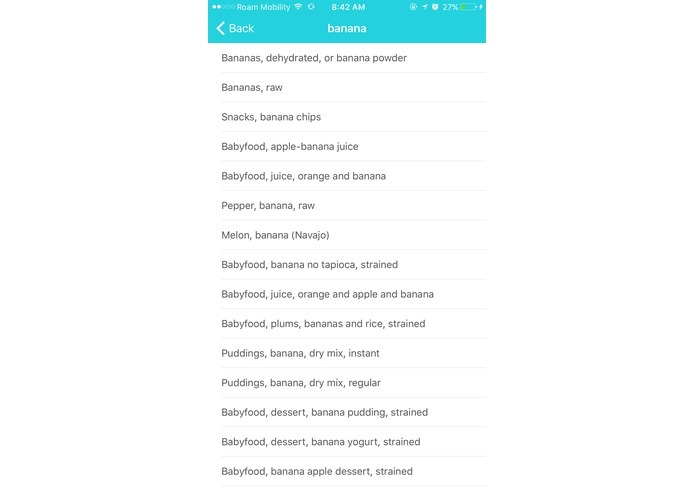 With the increasing concerns surrounding childhood obesity and societal health as a whole, we wanted to create an app that would make children want to eat healthy, and take the task of managing children’s nutrition out of the parent’s hand. 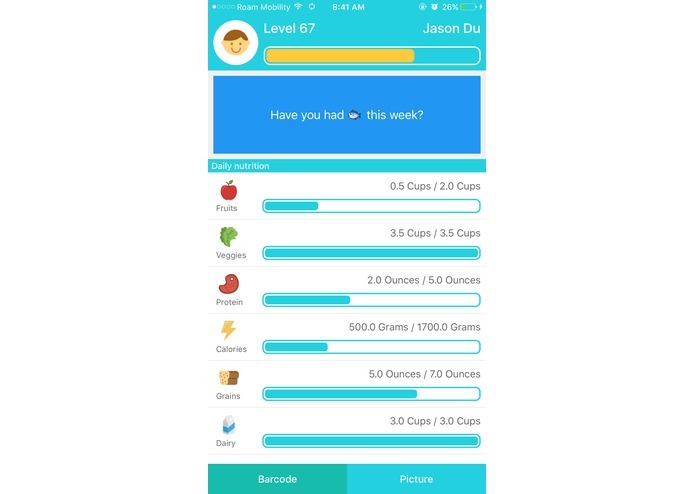 What it does: Nutrily allows users (primarily children or parents of children) to track what they eat each meal, whether through scanning a barcode or taking a picture of their meal. 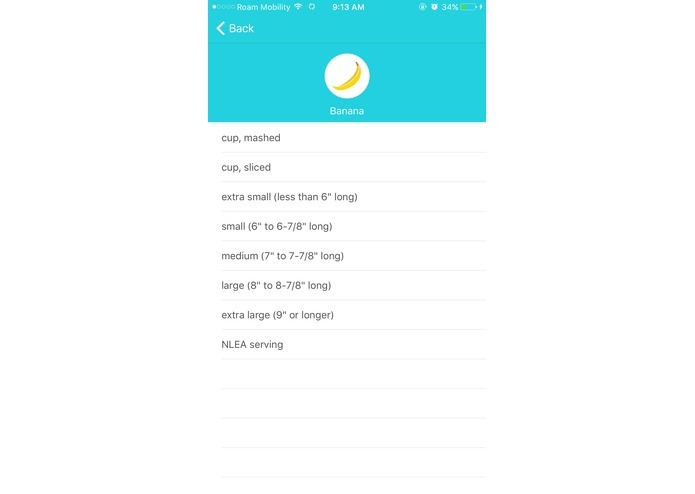 The app keeps track of how much of each food group (fruits, protein, dairy, etc.) the user has eaten that day, and a dynamic message box displays suggestions according to these statistics, scrolling through several generated messages each time. 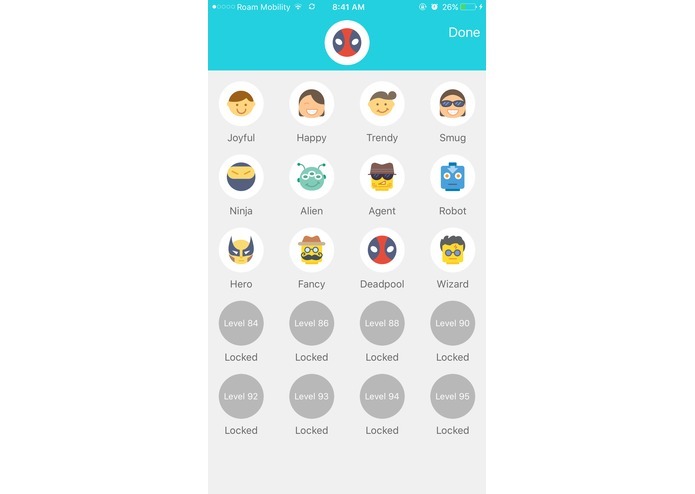 Users can also choose "characters," which affect the theme and tone of these messages. By eating healthy, users gain points and advance levels. 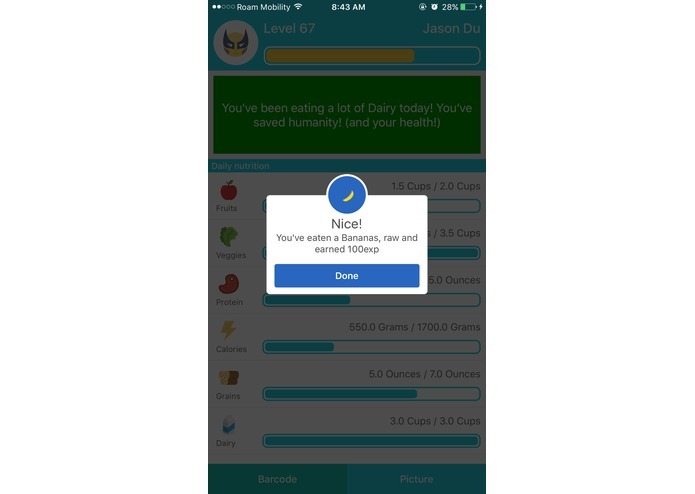 Nutrily essentially turns what’s often seen as the chore of healthy eating and tracking into a fun, interactive game. 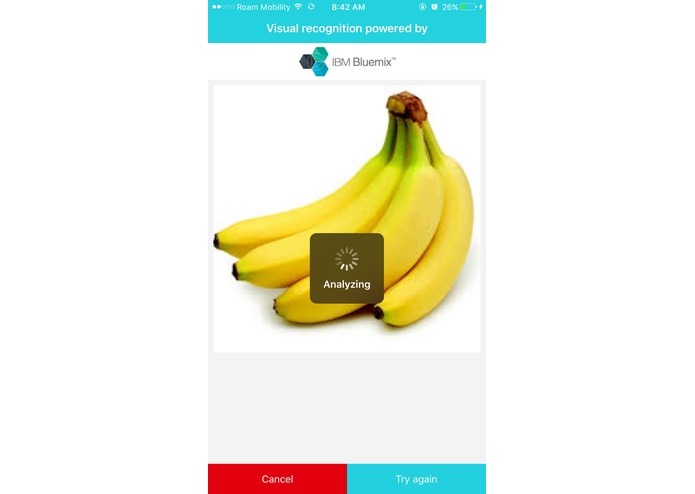 We used Swift and Xcode to build an iOS app that uses IBM Watson's visual recognition API to create custom classifiers to identify different food items, and a third-party barcode scanner to identify known commercial products. After taking a picture, the app will send the picture of food to a Cloudant database and call an OpenWhisk action that will use the visual recognition API to identify the food. 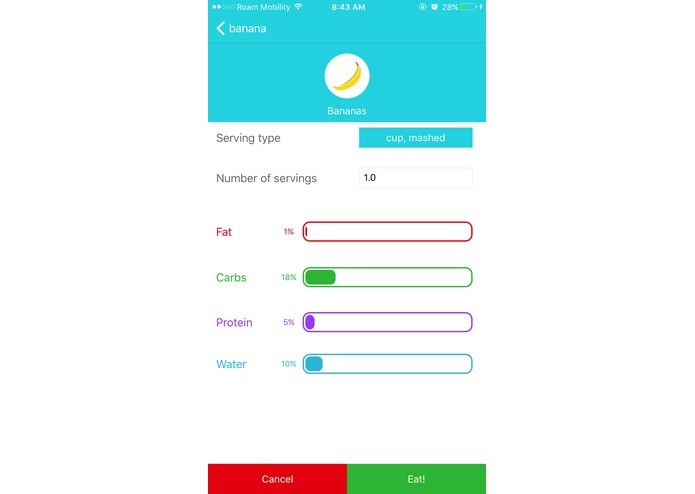 After users confirm the selection and input serving size, our app retrieves USDA nutritional information to update the user's eating statistics for the day. Integrating custom classifiers into the app proved to be difficult given certain restrictions placed on free Bluemix accounts. We take pride that we completed a fully functional iOS app and displays the data in a beautiful visualization for the user in the span of a hackathon. In addition, we are proud of how we handled the integration of nutritional information from the US Department of Agriculture, combining both inputs through barcode scans and user-taken pictures, as well as how we worked with the Watson Visual Recognition API through OpenWhisk. We learned how to utilize a Cloudant database, OpenWhisk, and the IBM Watson Visual Recognition API in tandem to allow for readily-accessible use of visual recognition. We’d like to expand the scope of the app by integrating more nutritional information (beyond the basic food groups + calories + vitamins) to make even smarter, informed messages. More importantly, we’d like to be able to collect data from users of the app to allow educators or parents to monitor how well their students or children are eating.